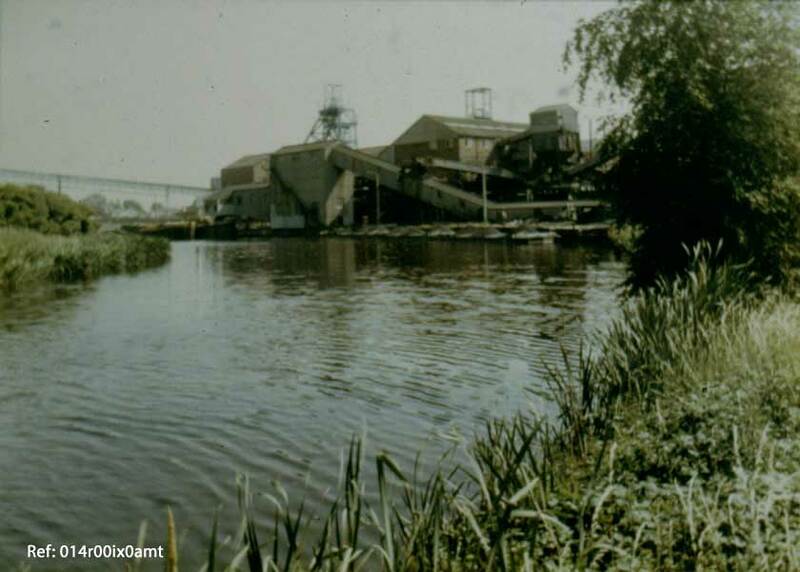 The ‘basin’ was part of the Aire and Calder Navigation Canal and barges and ‘Tom Puddings’ were loaded with coal at the wharfe direct from the washing and screening plant. The loading shute can be seen with the washing and screening plant behind. At the ‘basin’ were specially constructed loading staithes for tipping the coal into the barges. ‘Tom Puddings’ were square metal containers for coal and could carry 50 tons of coal. 8-10 of these were pulled in convoy by one barge. 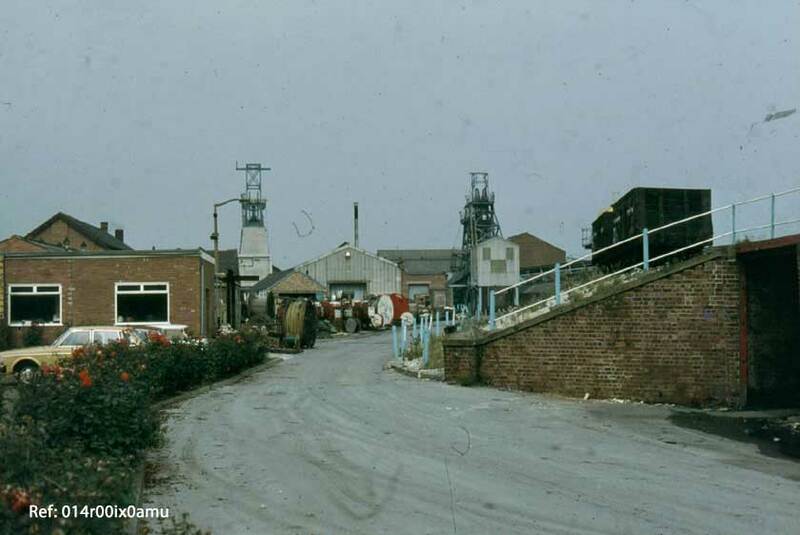 This photograph shows the entrance to the Savile Pit in 1982, from the top of Main Street. On right is the ‘land-sales’ area. Coal rail trucks are ready to tip coal directly into coal wagons. Weighbridge. The land sales area was demolished late 1982-83 to extend the car park. On the left is the canteen, erected during the 1939-45 war. Beyond are newer workshops and the electric driven head-gear. 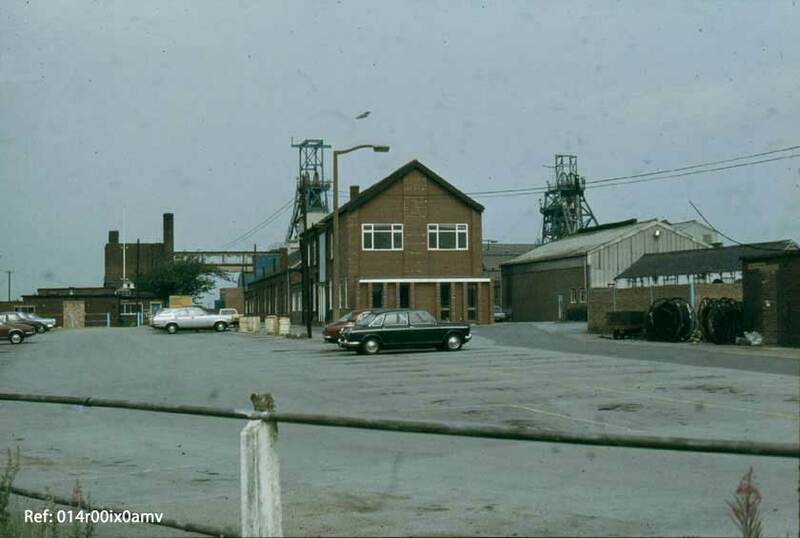 Entrance to the Savile Pit 1982, from the top of Main Street. The offices and car park are in the foreground. Beyond, on the left are the pit-head baths with the gantry from the baths to cage 2 electrified winding gears and other workshops. All images are available for purchase. Please quote the image reference number when ordering.